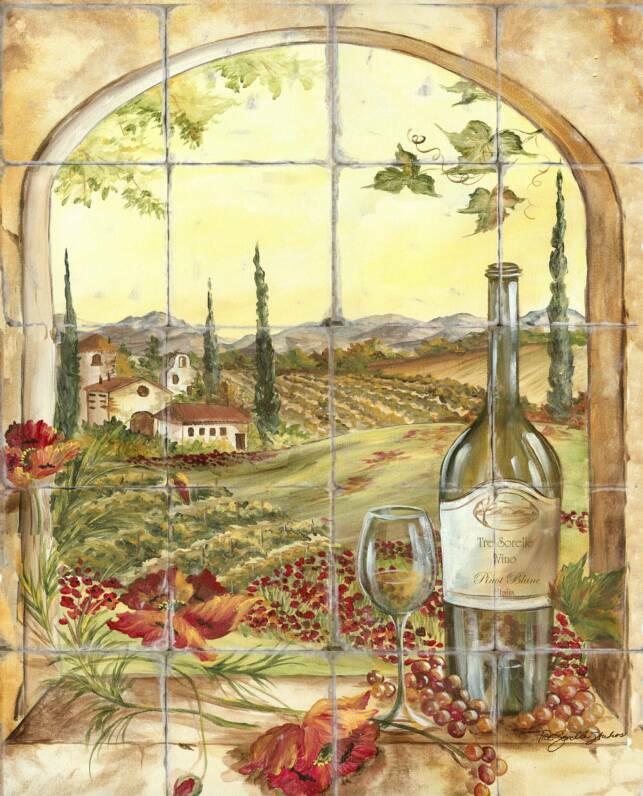 Now, in addition to our gorgeous hand-painted tile murals, we are offering a faster, more affordable option to Tre Sorelle patrons with some of our latest and prettiest artwork that we have created exclusively for the home decor markets. 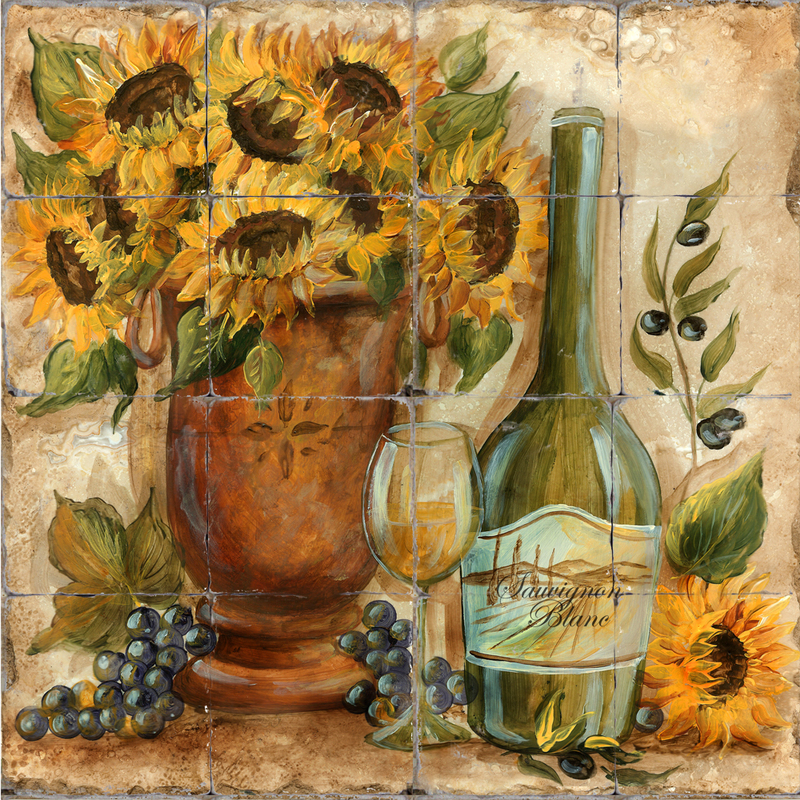 These designs are not available on tile anywhere else. 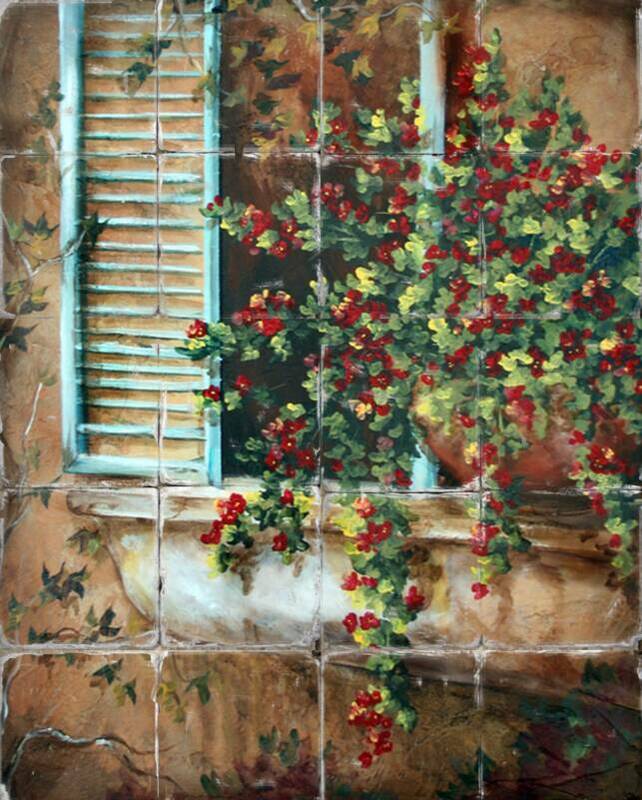 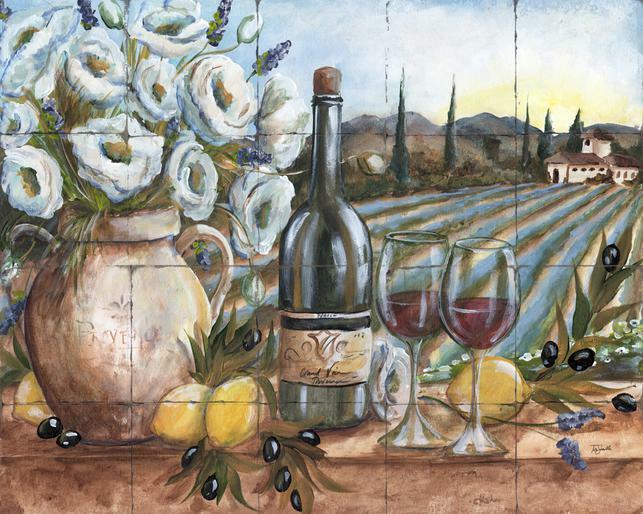 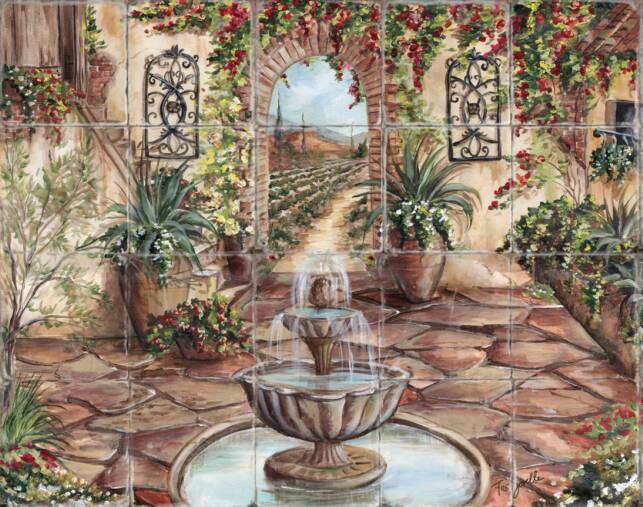 Beautiful hand-applied, heat transferred Tre Sorelle Original Paintings are now available on both Tumbled Marble, Porcelain, and Ceramic (matte and gloss available) tile murals for Kitchen, Bath, Garden Walls, and all Outdoor Applications. 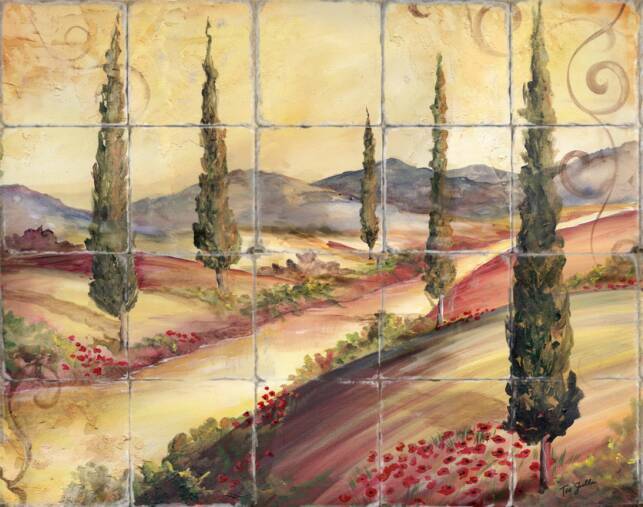 Every tile mural is sealed with a stone sealer before shipping for added protection. 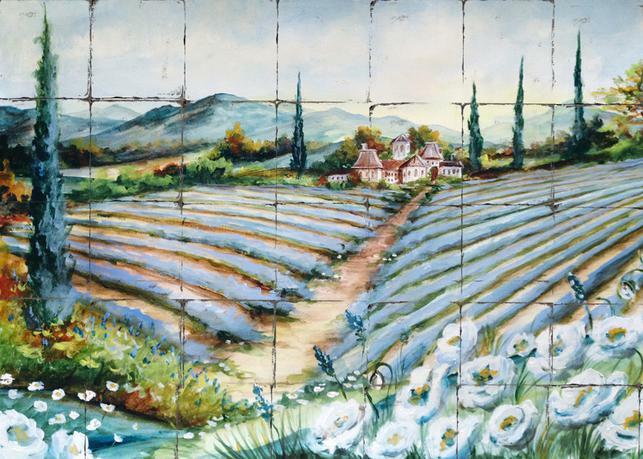 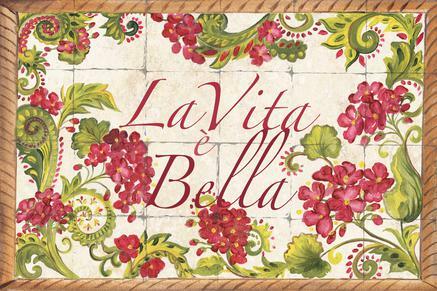 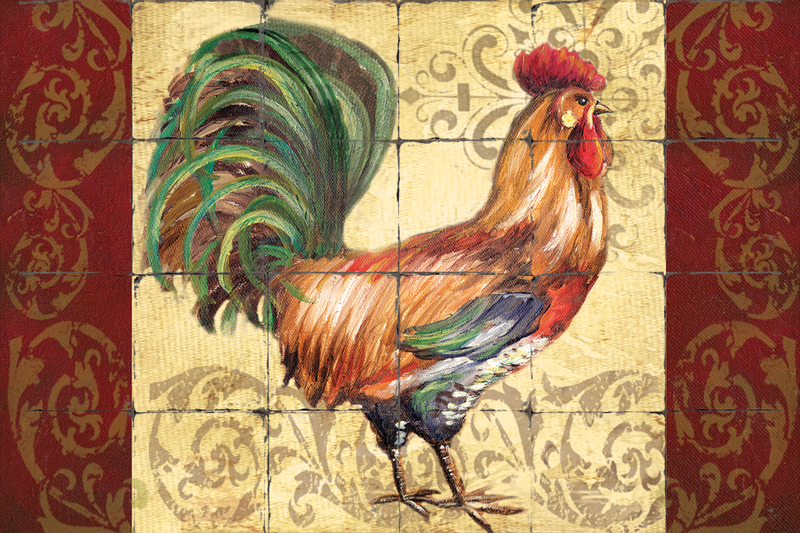 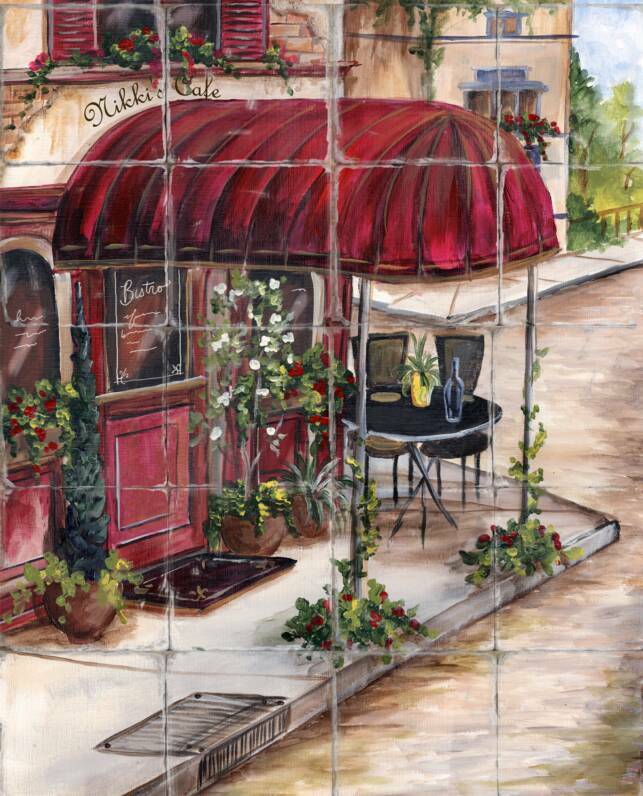 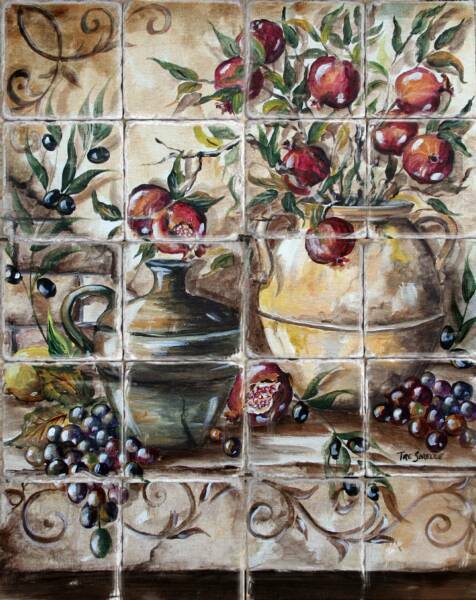 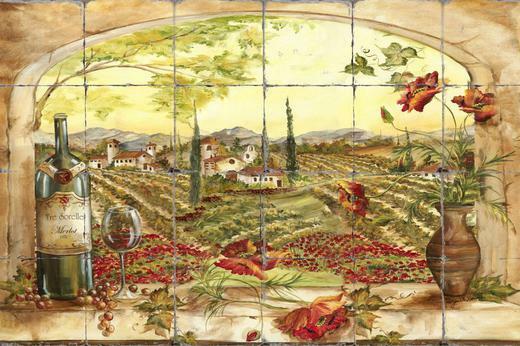 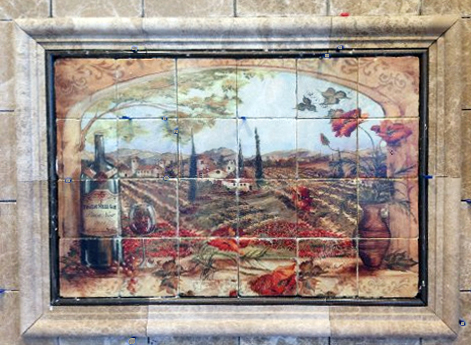 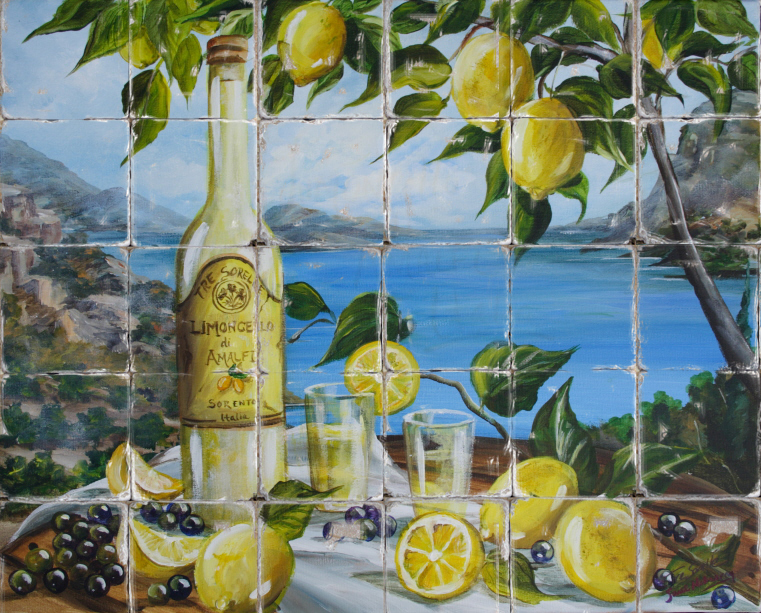 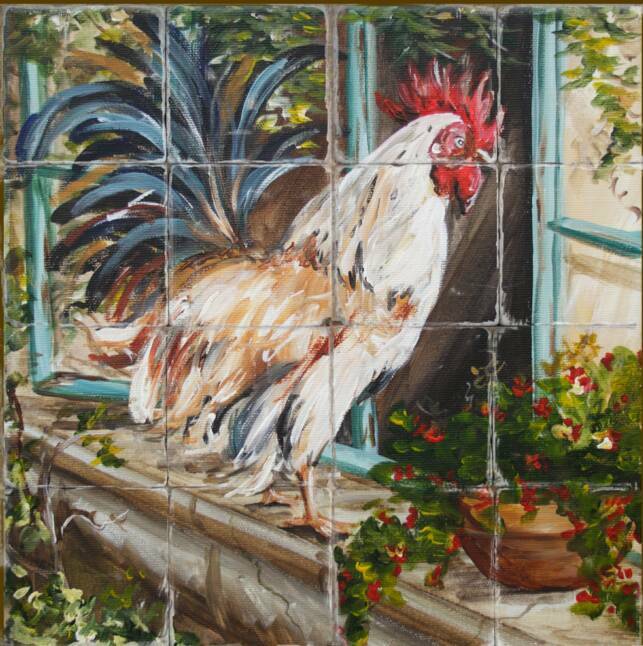 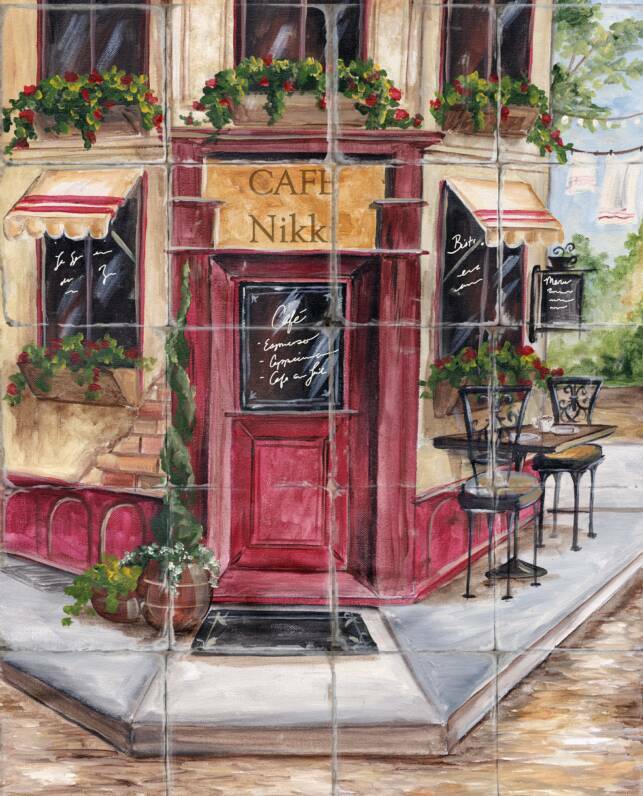 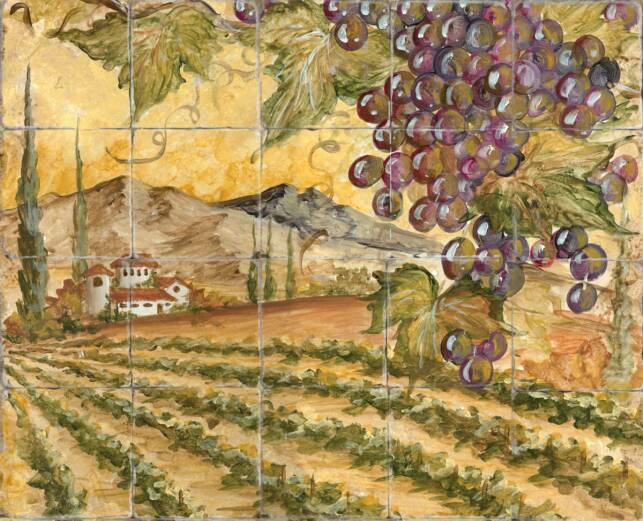 Enjoy the beauty of hand painted tile for a fraction of the cost of a custom tile mural. 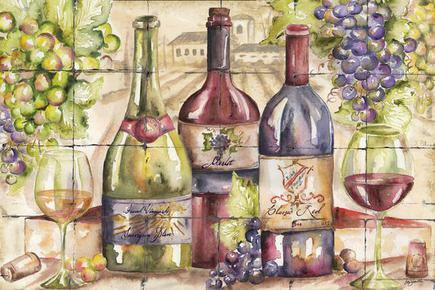 FAST DELIVERY!!!! 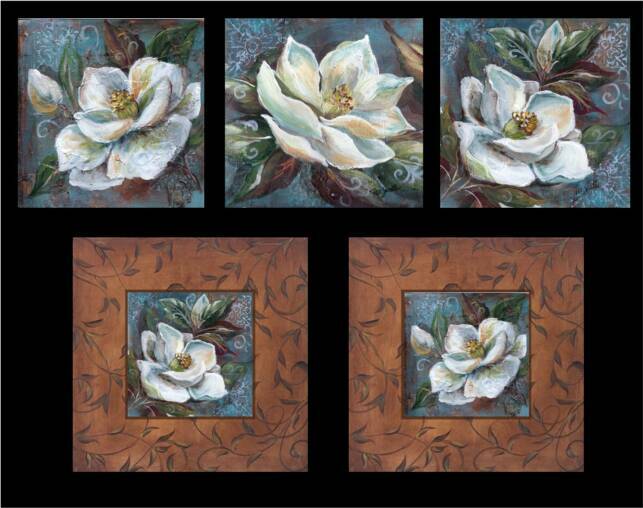 ~Delivered within 7-10 days of order. 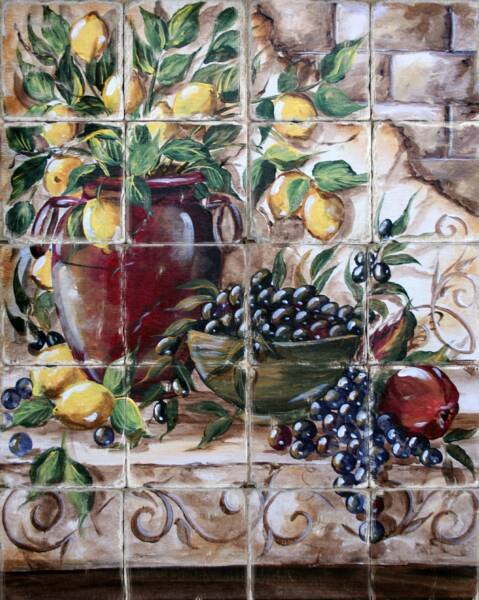 With the use of proprietary digital technology, and vibrant high resolution original designs, our clients can accent their kitchen and bath design with the artists' of Tre Sorelle beautiful hand. 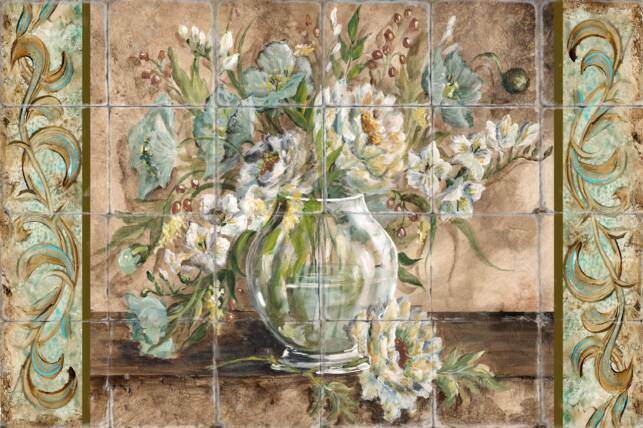 Sample tiles are available for a small fee. 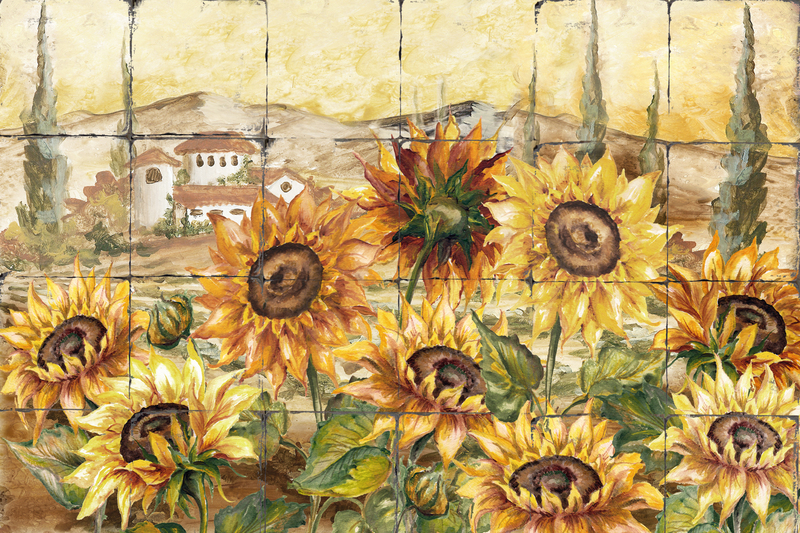 Many of our Custom Tile Mural designs can be transferred to a printed tile mural. 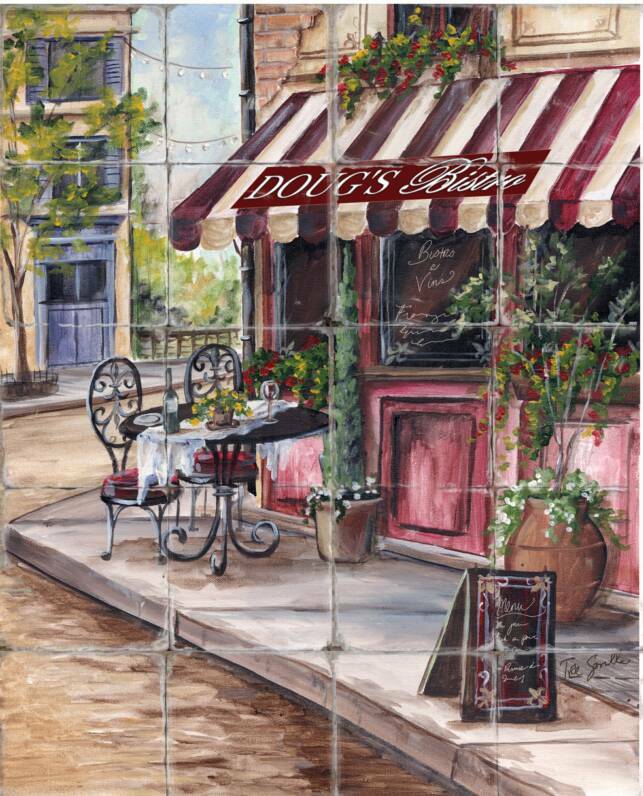 Please visit our custom tile gallery to view our designs. 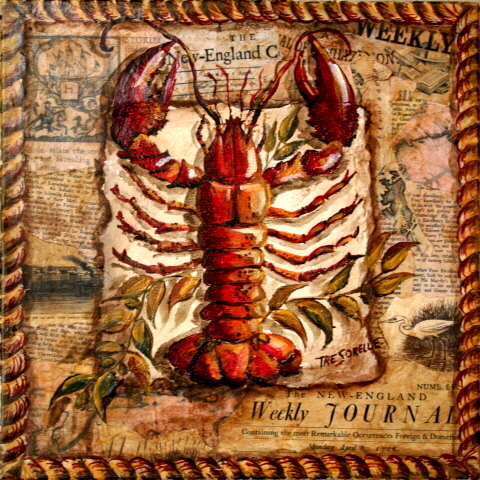 "Clam and Lobster Bake on the Sea Shore"
"Bellinis on the Italian Coast"
"Limoncellos on the Italian Coast"
so important that we choose the right materials for this beating heart in our home, including cabinetry, appliances, hardware, flooring… and the backsplash. 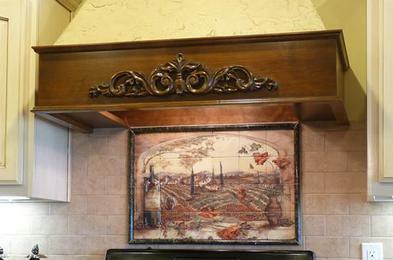 and smoke will most likely need to be wiped away on a regular basis. 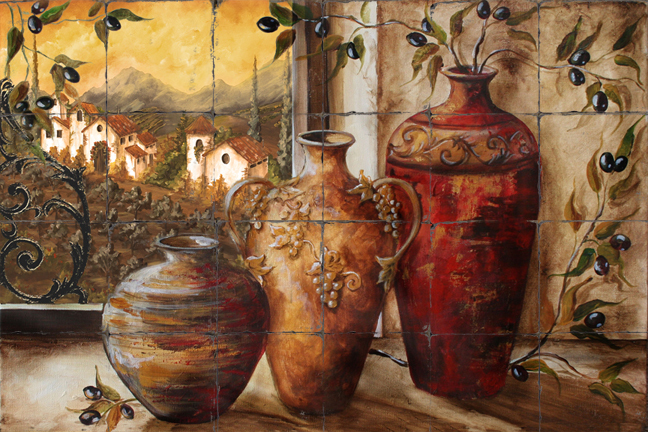 today by interior designers when they use organic and natural materials. 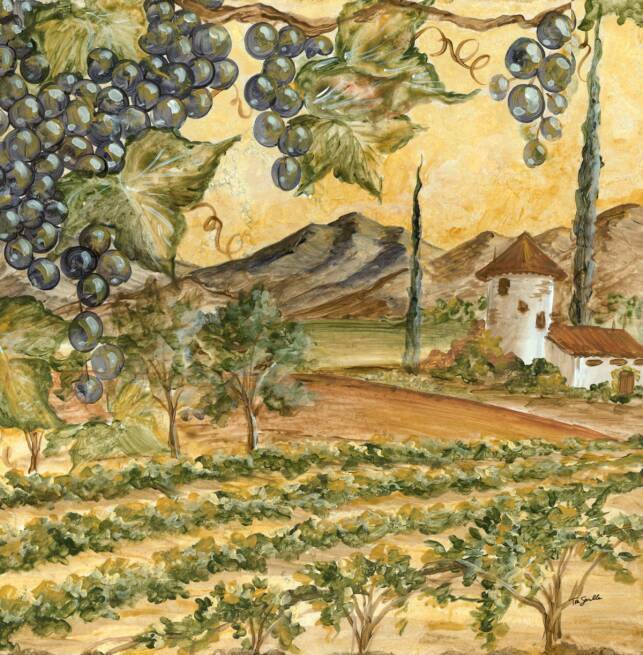 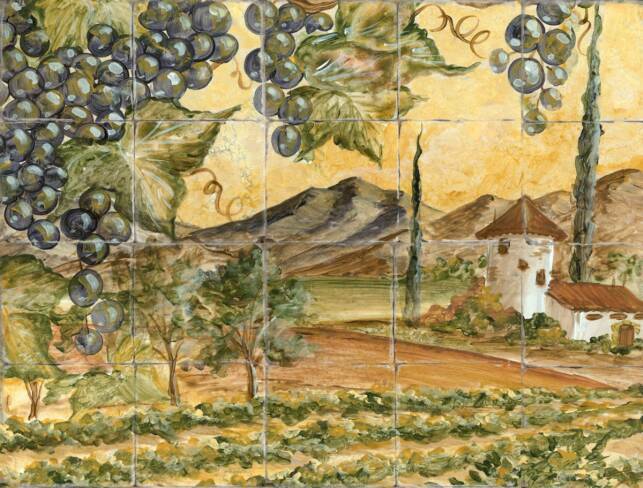 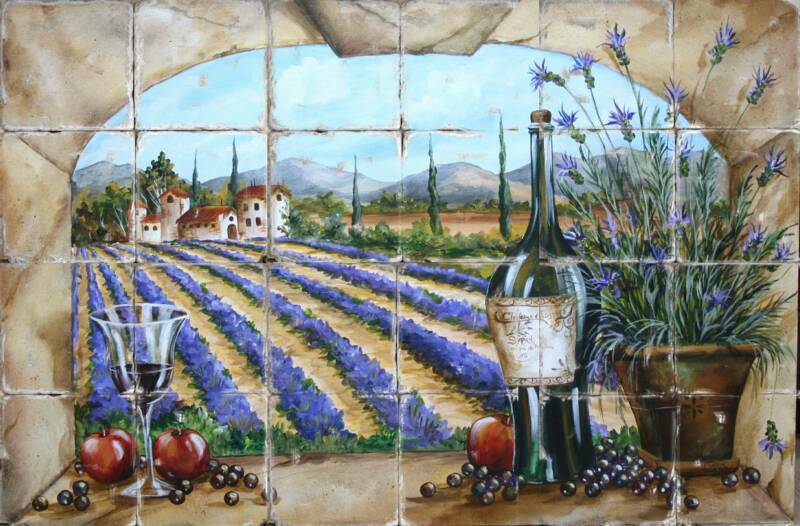 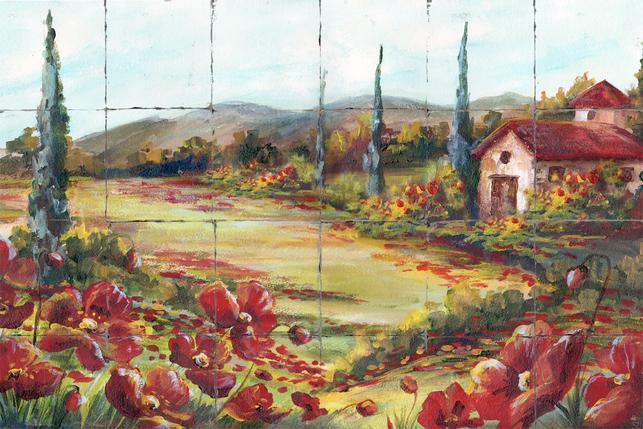 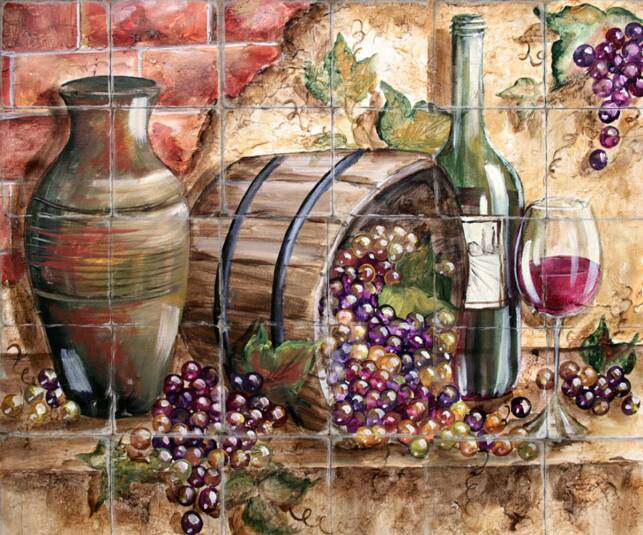 "Grape Vines and Wine Bottles"
Each tile is numbered before shipping for easy installation. 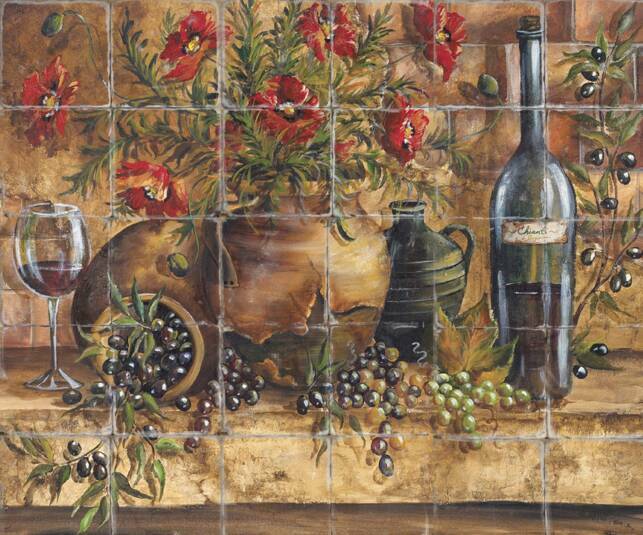 Use a natural stone adhesive or thin set (depending on wether it is a marble, ceramic, or porcelain tile mural). 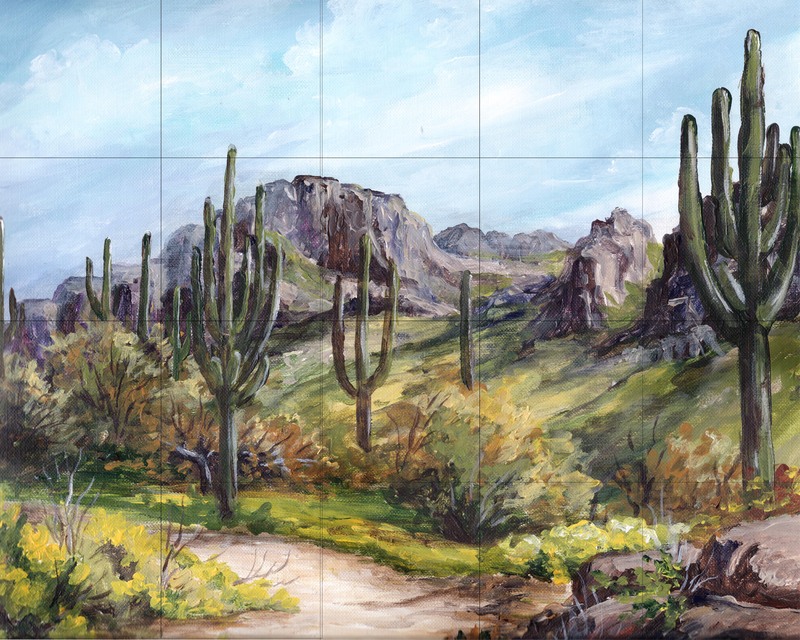 Each tile mural is created by a digital screen of high quality inks being heat transferred onto the stone/ceramic/porcelaine substrate at high heat so that the image becomes a part of the tile. 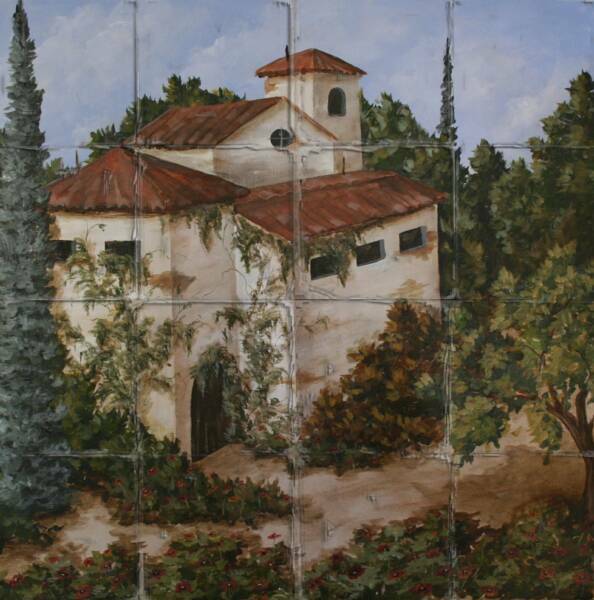 Each tile is then sealed before shipping for added durability. 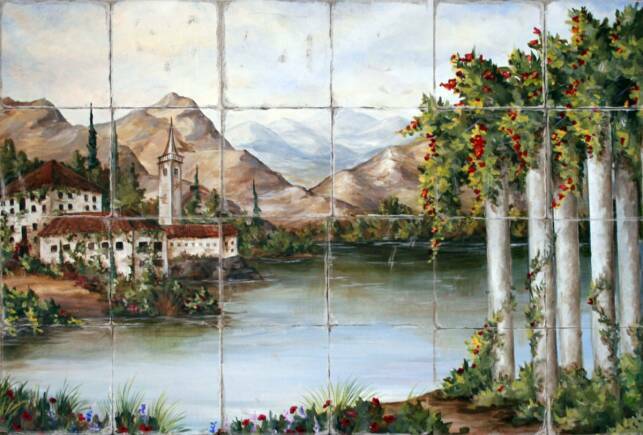 After adhering the tiles to the wall allow a cure time (usually 24 hrs minimum) and then grout with an "unsanded" grout or calk. 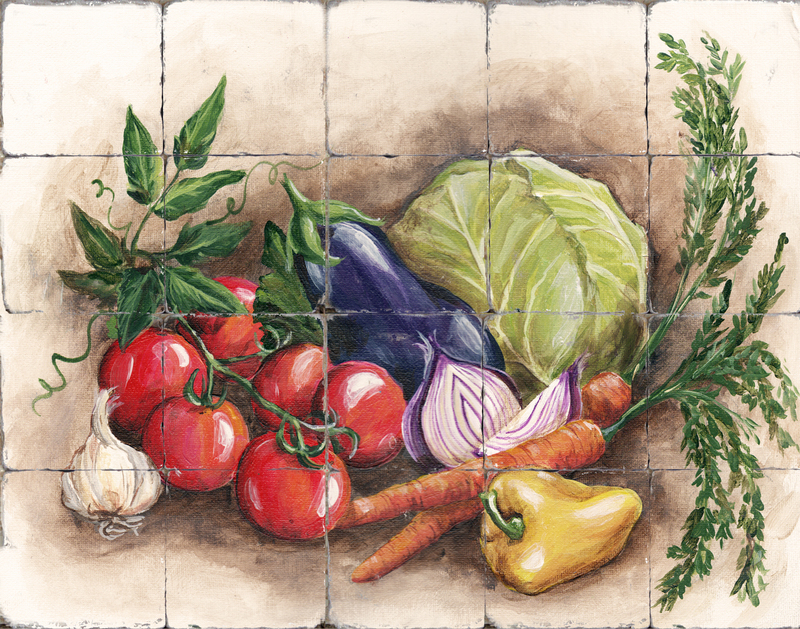 We usually recommend a light neutral color that matches the rest of your kitchen (linen, bone, sand, camel...are a few common grout colors that work well). 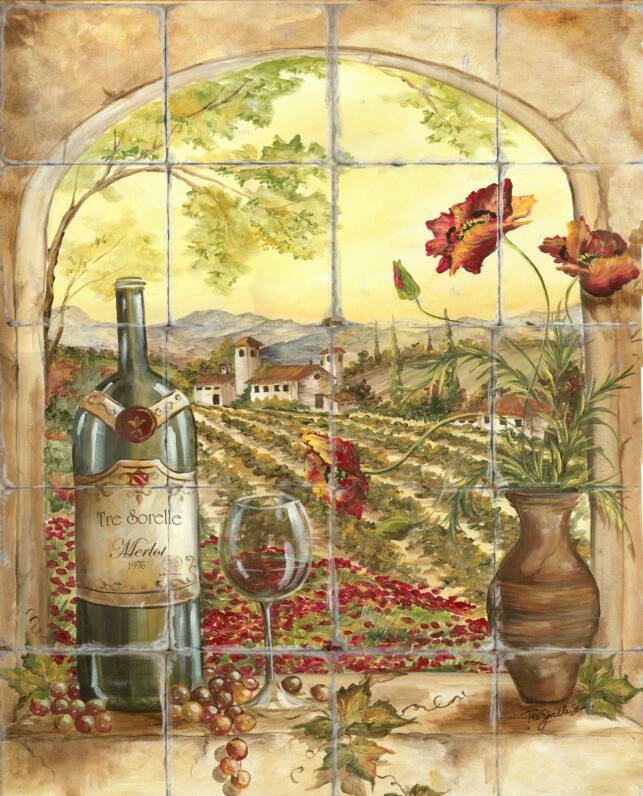 If your tile mural is on tumbled marble, you are free to apply another layer of "Stone and Grout Sealer" over the tile mural, grout, and the surrounding field tile. 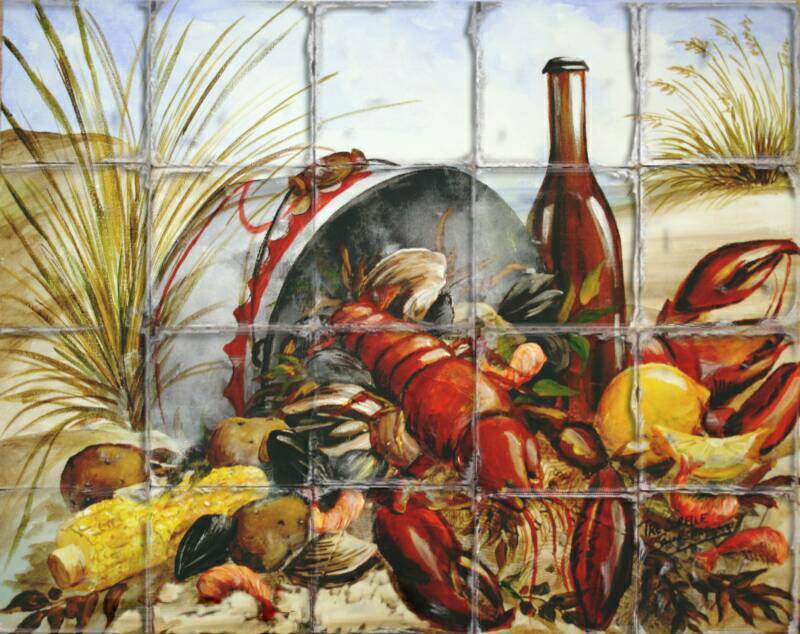 After this process, the tiles are completely durable, hold up to heat, water, and can be cleaned with common household cleaners and a sponge. 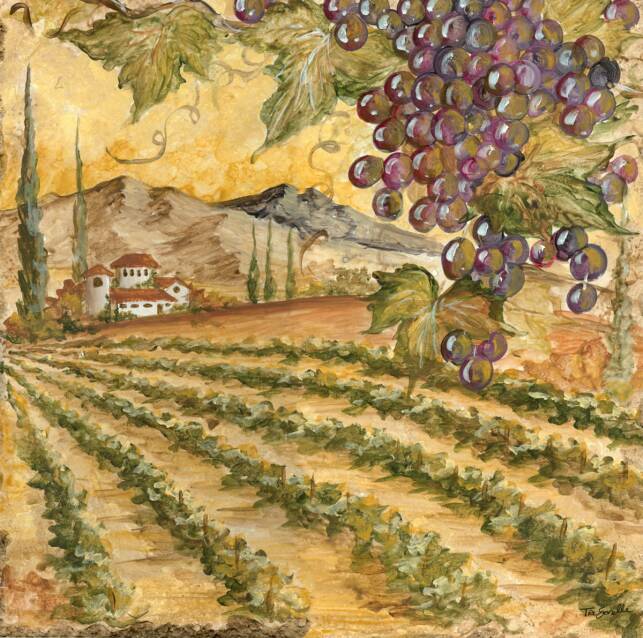 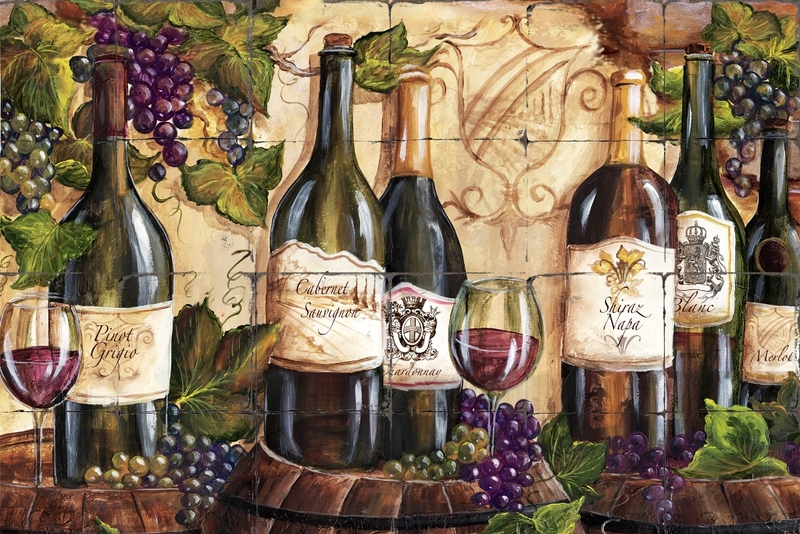 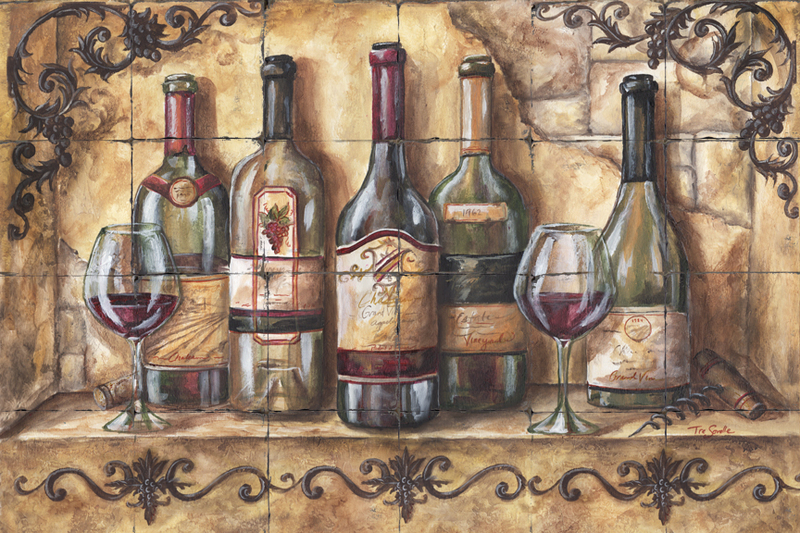 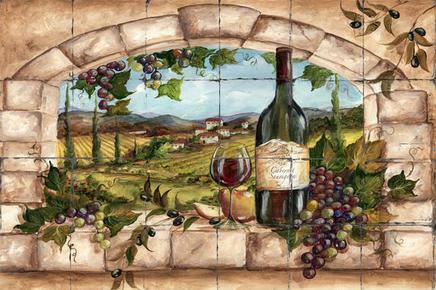 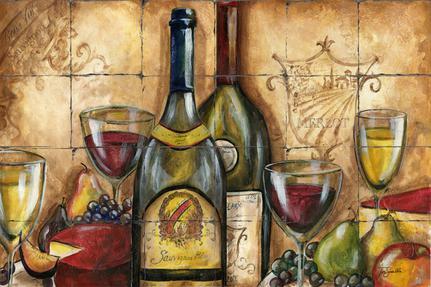 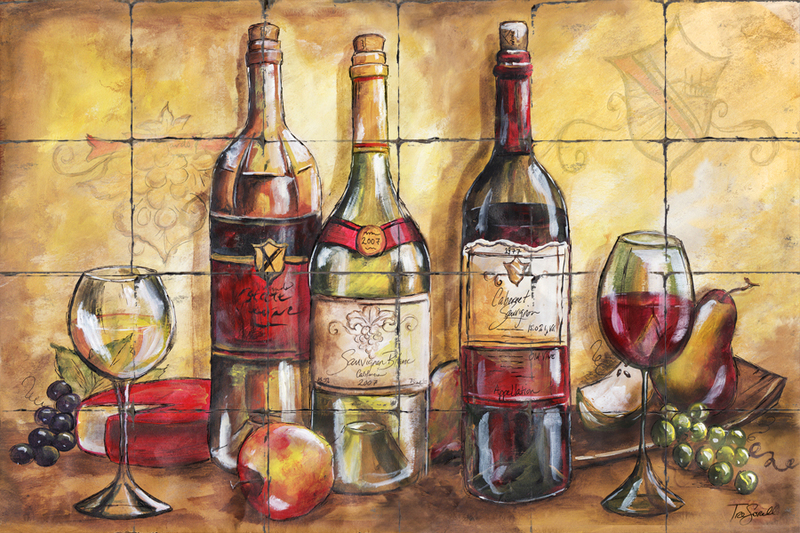 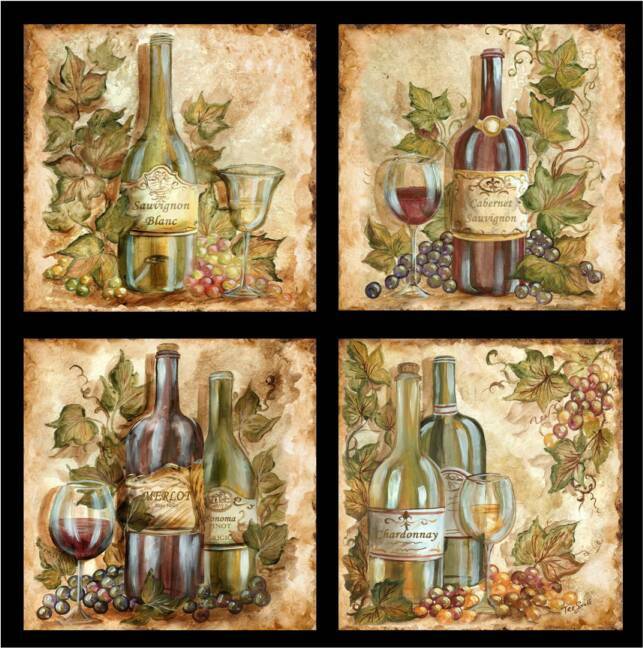 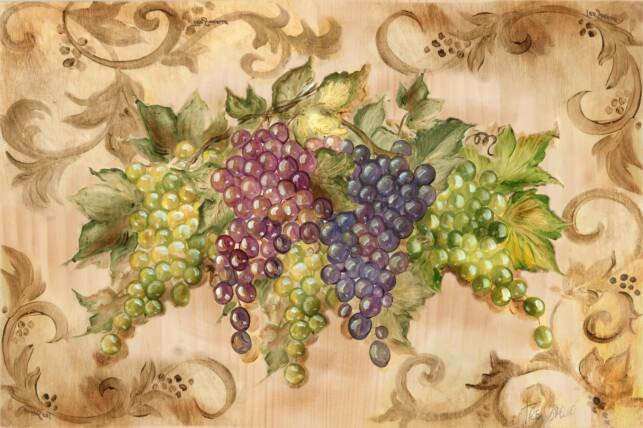 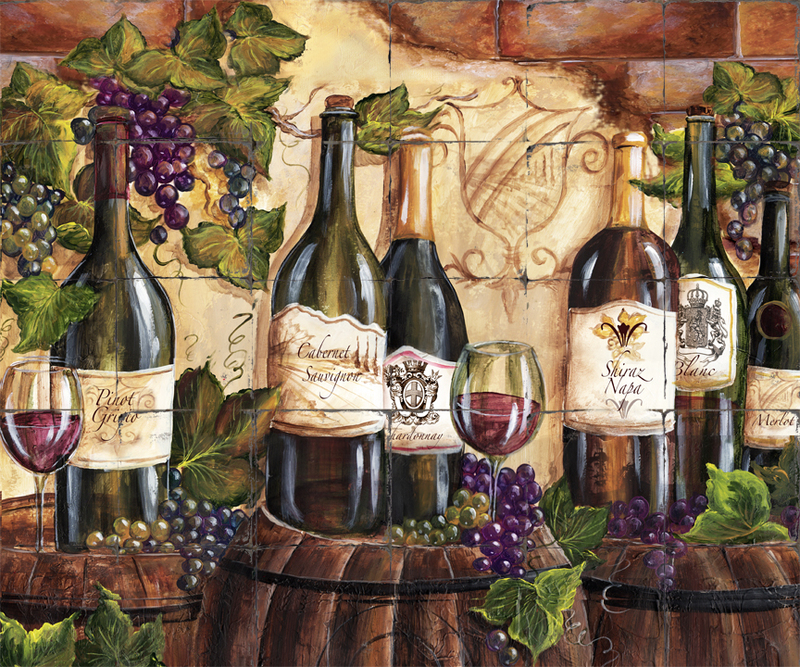 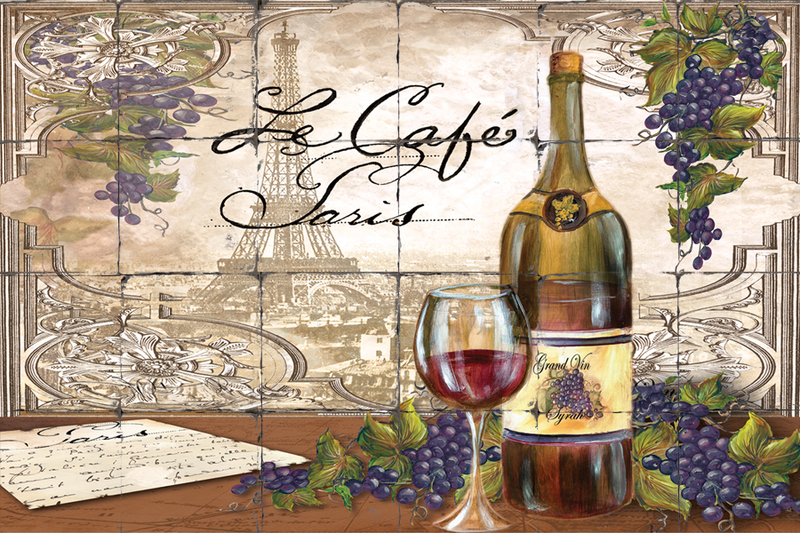 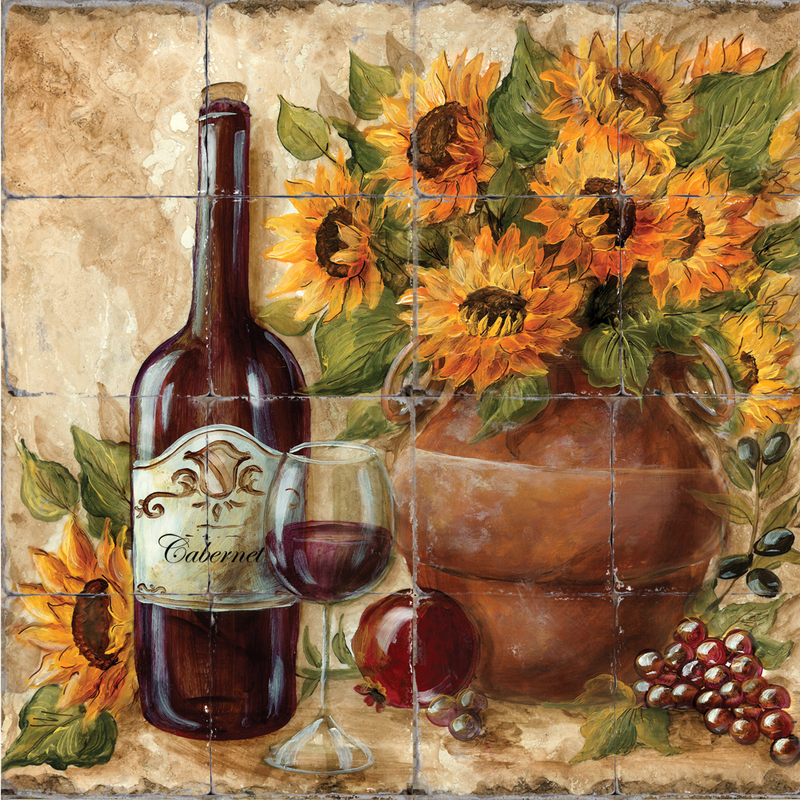 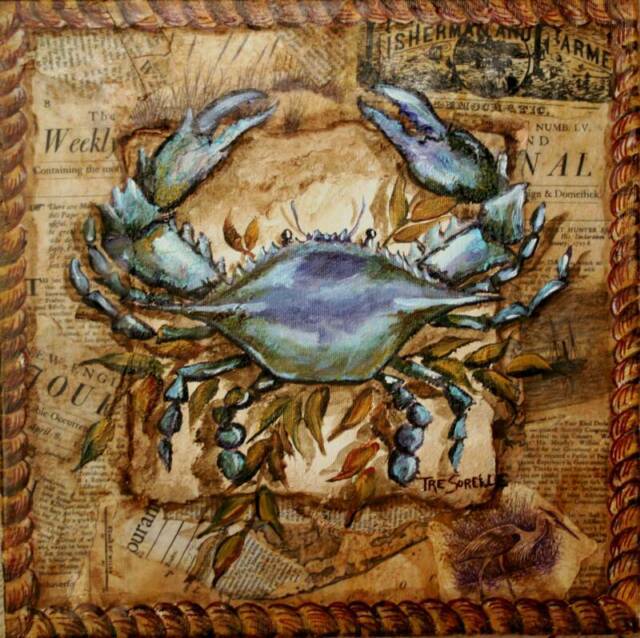 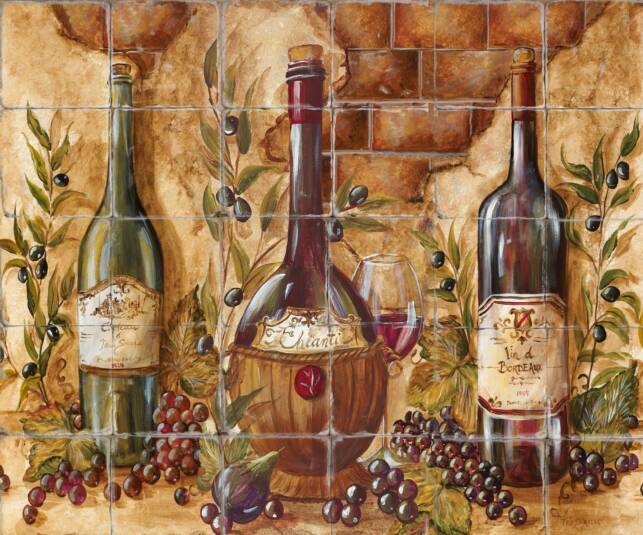 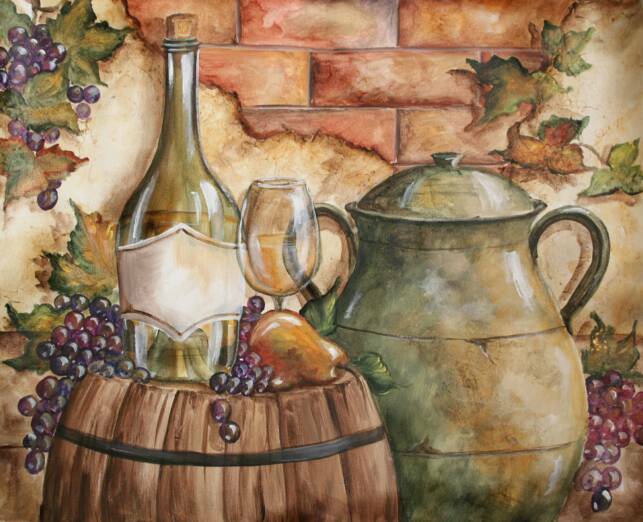 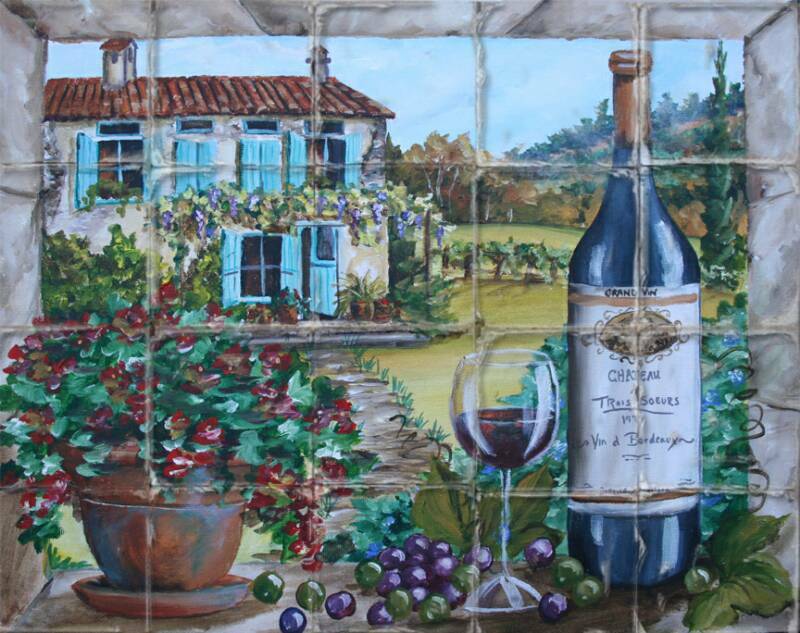 Grape Scroll Swag Tile Mural 24"x16" or 36"x24"
Wine Barrel Tile Mural 24"x20" or 36"x30"
28"x16" on 4" tile $450to add text. 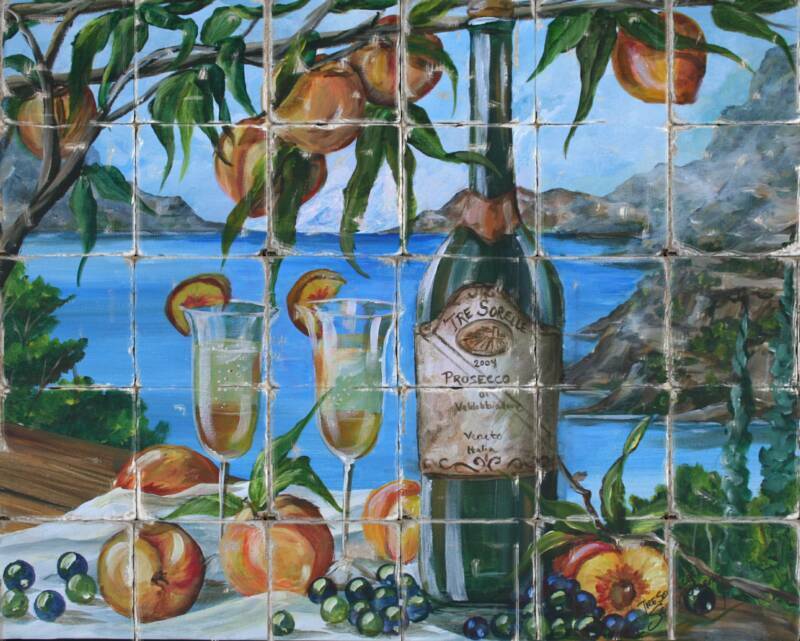 Below are some examples of our beautiful murals. 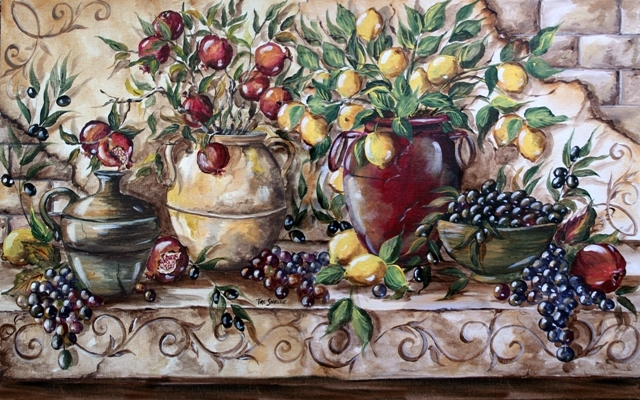 To search for a specific category be sure and click the link in the navigation menu above on the right hand side of this page. 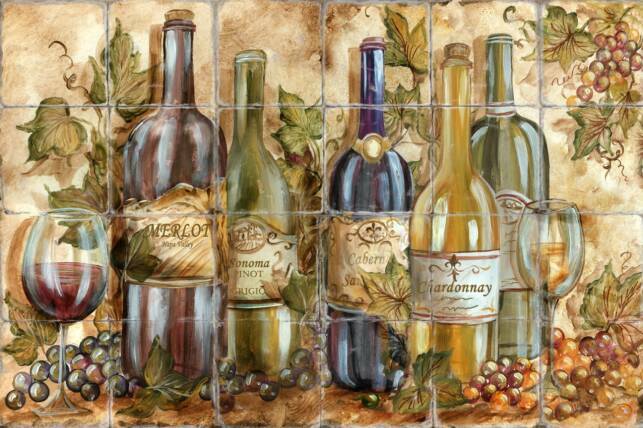 Printed Tile "Wine Barrels, Wine w/Brick"
Description of our Printing Process.